Nadine Rupp/Getty ImagesTroy Carter has officially joined Spotify. If Spotify wants to compete with Apple Music then it needs to start getting some exclusive music. Apple has Jimmy Iovine, the veteran producer and music executive who has been working as a behind-the-scenes dealmaker. 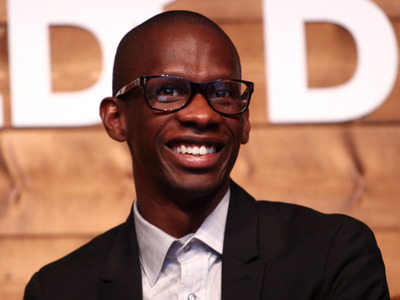 Now Spotify has Troy Carter. Chances are you probably don’t recognise Carter’s name. But you’ll know some of the artists he has worked with. Music Business Worldwide reports that Carter has previously managed Lady Gaga, Eve, Lindsey Sterling, Charlie Puth John Legend and Meghan Trainor. Carter also has an entertainment company, Atom Factory, through which he has invested in Spotify as well as Uber, Dropbox, Warby Parker and Songza. We don’t know exactly what Carter will be doing at Spotify yet, other than reporting to chief content and chief strategy officer Stefan Blom. But it’s likely that Carter will be the go-between between big-name artists and the streaming platform. One of the reasons why Apple Music has been so successful is the steady stream of exclusive music that it has launched. Unlike Tidal, Jay Z’s streaming service, Apple Music often relies on so-called “timed exclusives” that debut on Apple Music first before reaching rivals like Spotify. Drake’s latest album, for example, was an Apple Music exclusive for one week. That makes Apple Music a service that fans want to subscribe to over Spotify because new music arrives there first. The man at Apple Music who has been working to secure exclusives is Jimmy Iovine, a veteran music producer and label executive who is respected in the music industry. There was speculation that Iovine was the main reason why Apple acquired Beats. There were three key parts to the Beats deal: The headphone line, its music streaming service, and the roster of talent inside the company that included Dr. Dre, Iovine, and Trent Reznor. However, an anonymous source said in September that the headphones and existing streaming service were irrelevant. Instead, it was all about Iovine. Iovine is certainly involved behind the scenes at Apple, but chances are he’s not going to be leading a big keynote speech any time soon. His appearance at the WWDC keynote in 2015 was widely regarded as a disaster. Apple blog Loop Insight said “Please Apple, don’t let Jimmy Iovine on stage again.” Multiple journalists also likened his speech to a drunken uncle. Iovine then gave an interview in which he said that women needed help creating playlists, a comment that he later apologised for. Perhaps he’s best-suited as a backroom operator. However, Spotify may decide to bring Carter to the forefront and let him speak on behalf of the organisation. He has even defended Spotify before he worked there. 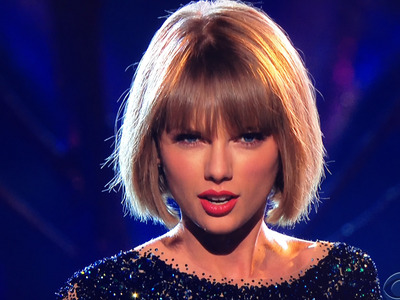 In 2015 singer Taylor Swift declined to make her album “1989” available on Spotify because she felt that the platform’s freemium model devalued music. Carter said that Swift’s argument was flawed because if an album isn’t available on a free service, fans will just pirate it for free. I started my career as a kid who loved hip hop. I would read the back of liner notes and knew every studio, engineer, and producer you could think of. I had a crazy “rain man” like recall on all things music. I loved music so much that I dropped out of high school and dedicated my life to it. It was never about making money; it just spoke to my soul and gave a skinny, shy kid the words he didn’t know how to say and the confidence he didn’t know he had. Music gave me life and fuelled the culture around me. When Eve asked me to be her manager, I had no clue what that meant. All I knew was that my job was to protect my friend. And that role of protector is one that I would find myself taking on for many artists over the years. So after 15 years of talent management, I’ve decided that it’s time to explore new roads. I’d like to thank all of the artists that gave me such an incredible opportunity by entrusting me and the Atom Factory team with their careers: Eve, Lady Gaga, John Legend, Meghan Trainor, Charlie Puth, and many many others. THANK YOU! There’s a famous quote from JFK that says, “Change is the law of life. And those who look only to the past or present are certain to miss the future.” With that said, I’m a firm believer that Spotify is the future for music. In my new role as Global Head of Creator Services, my job is just a natural continuation of what I’ve always done — protect the voice of artists. Always have and always will. Through Atom Factory, my team will stay in place to run our tech, culture and hustle outlet SMASHD.co as well as launch a brand innovation agency. And through Smashd Labs and Cross Culture VC, I’ll still continue investing in great founders that have the ability to deliver next wave disruption to culture. Looking forward to the road ahead!